Did you miss your Medicare Initial Enrollment Period? You have another chance to enroll in Medicare Coverage if you missed your Initial Enrollment Period or your Special Enrollment Period! Typically, Medicare Initial Enrollment Period (IEP) is when you first qualify for Medicare (three months before your 65th birthday, your birthday month, and three months after yours 65th birthday.) During the IEP, this is an important time to make sure you get the Medicare coverage you need when you turn 65. There are times when one is unaware or misses opportunities like these. From January 1 – March 31 of each year, or the General Enrollment Period, seniors who missed their Initial Enrollment Period can enroll in Medicare during this time! For most Medicare beneficiaries, if you or your spouse worked at least 10 years while paying Medicare taxes, you qualify for premium-free Medicare Part A. If you do not qualify for premium-free Medicare Part A and enroll during the General Enrollment Period, you typically have to pay a late-enrollment penalty (typically 10% of the premium). The length of your delay determines how long you will be paying the penalty on your monthly premium. Initial Enrollment Period for Medicare Part B is the same as Part A. General Enrollment Period for Part B is the same as Part A as well. There is a late-enrollment penalty for Medicare Part B if you enroll during the General Enrollment Period but with some differences. The penalty (10% of your premium) is added in your monthly premium but unfortunately, there is no end to your late-enrollment penalty. The costs will carry as long as you have Part B.
It’s very important to enroll into Medicare Parts A and B during your Initial Enrollment Period to avoid any additional costs such as a higher premium. You may be able to delay enrollment in Medicare Part A and B without being subject to a late-enrollment penalty if you have group health coverage through your or your spouse’s employer or union. If you enroll in Medicare during the General Enrollment Period, coverage will begin in July! Help fill in the gaps that Medicare Parts A and B do not cover by getting Medigap coverage! July is earliest you can have a Medicare Supplement. Give Plan Medigap a call at (800) 750-2407 or visit our quote page. 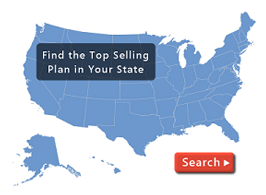 We can find competitive rates and plans from multiple carriers in your area! Disenroll from Medicare Advantage and Enroll into a Medicare Supplement!